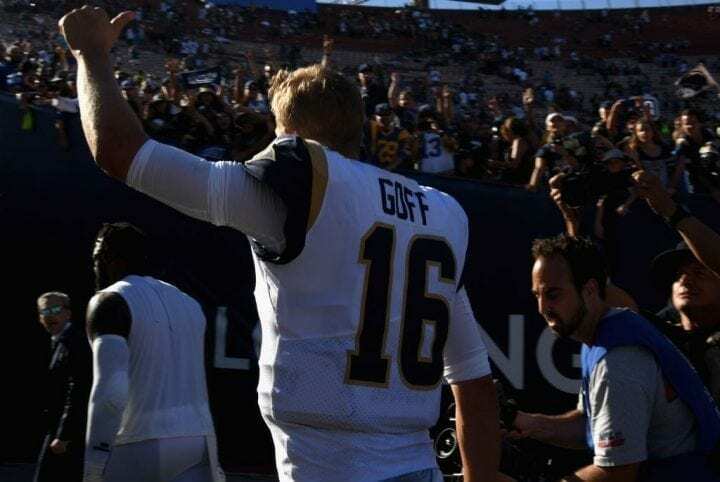 After the third week of the season, it seems quite the Los Angeles Rams may be the best team in the NFL. So they remain atop our NFC power rankings. The Rams are an offensive powerhouse, not quite as powerful as the Kurt Warner/Marshall Faulk version, but impressive enough to strike fear. The win over the Chargers was impressive and it showed again that Jared Goff and Todd Gurley can move the ball down the field. What could be troublesome in the future is the health of their secondary and a run defense that’s not quite up to par. Thursday night’s game against the angry Minnesota Vikings should be a serviceable barometer. No one was expecting the Bucs to go 16-0. We assume that would include the Bucs. So it was just a matter of time before something got in their way. On Monday, the Steelers were the impediment. But we need to see more before we downgrade and Ryan Fitzpatrick did become the first QB in league history to throw for at least 400 yards in the first three games of the season. Of course, he also tossed three picks, one of which was a pick six. Carson Wentz returned on Sunday and if you believe he is a franchise QB – and we do – then you suspect this will be a very good thing for the defending Super Bowl champions. They looked good, but not great, in beating the Indianapolis Colts on Sunday and their efficiency (possessions versus points) needs improving. But things should get progressively better when Alshon Jeffrey and Jay Ajayi return to help Wentz. You don’t necessarily need great offense to earn a high perch in our power rankings and Mitchell Trubisky is troublesome at QB. But the Bears are giving us the feeling defense can carry them. The Oakland Raiders will rue the day they traded Khalil Mack to the Bears. And look, if Aaron Rodgers didn’t resuscitate the Packers in Week 1, Chicago would be sitting at 3-0. The Redskins are this week’s shot in the dark. They look much improved and capable of better things with Alex Smith under center. They managed to beat the Packers by keeping Rodgers in check, even though he threw for 265 yards. The Redskins got another solid performance from Adrian Peterson at halfback and we think Jay Gruden is a much better coach than his brother. Based solely on the presence of Kirk Cousins, the Vikings still earn our respect, even after one of the most embarrassing losses in recent history. They were 17-point underdogs to the Buffalo Bills and lost 27-6. They ran six running plays, which tied a league record. Ouch, indeed. We assume Minnesota will not have another game in which is doesn’t cross midfield in the first half. Thank goodness the Saints have the most prolific QB in NFL history in Drew Brees. He orchestrated the offensive demolition (534 yards) of the Atlanta Falcons, culminating with the touchdown drive in overtime that provided their win. Michael Thomas caught another 10 passes to set an NFL record with 38 through the first three weeks. Alvin Kamara accounted for 190 total yards, Sad thing is, the Saints needed every single one of them to compensate for five TD passes from Matty Ice. They have already allowed five TD passes of at least 30 yards. You can’t rank the Falcons ahead of the Saints after last week’s defensive disaster. Things are going to have to drastically improve if Atlanta is to challenge for a division title, let alone the NFC championship. 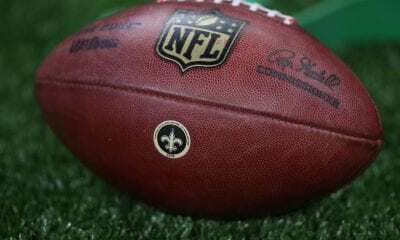 You can understand the dilemma – safety Keanu Neal and linebacker Deion Jones are injured. But teams lose players every second and there is no excuse for being at the league’s bottom in many defensive categories. We’ve been saying all season the Giants should have drafted Sam Darnold with the second overall pick. And we will not back down. But you’d have to admit the Saquon Barkley is a very nice addition to their offense. What he does is allow Eli Manning to better utilize his other weapon, Odell Beckham, Jr. And OBJ surpassed 100 receiving yards again in the win over Houston. We just won’t mention that Manning was sacked four times because his offensive line looks helpless at times. Where there is Rodgers, there is hope. And despite continuing to hobble around, he had a nice game against the Redskins with two TD passes and no interceptions. The Packers will stay afloat as long as Rodgers remains upright. And we imagine a week will eventually come when Clay Matthews isn’t flagged for unnecessary roughness, which will also help the cause. 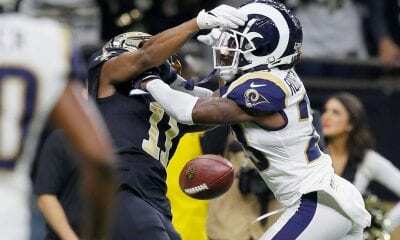 With no running game worth mentioning, even though Chris Carson gained over 100 on Sunday, the Seahawks will struggle a division the Rams are most certain to dominate. They don’t need a “12th Man.” They need Jim Brown. Give them credit. They did score 24 points against the Dallas Cowboys, with two TD passes from Russell Wilson. The defense didn’t look bad, but that was against a jayvee offense. Congratulations to Matt Patricia, rookie coach of the Lions. 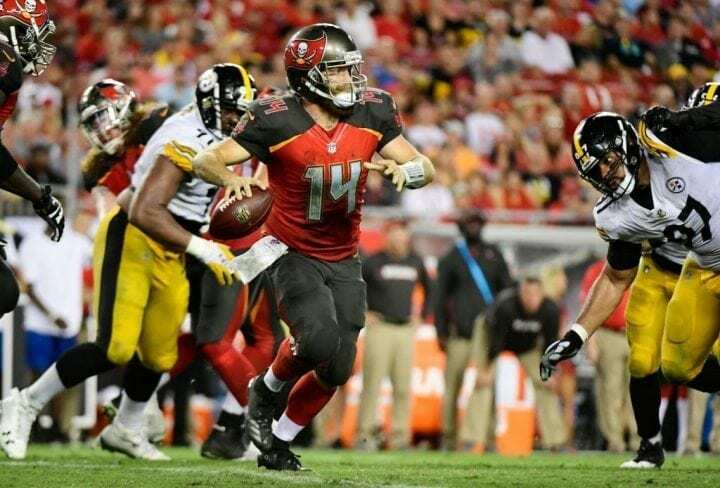 He earned his first NFL victory on Sunday Night over the New England Patriots, the organization which incubated him for 14 seasons. We don’t know what we enjoyed more, seeing Bill Belichick have to shake Patricia hand after the game or the standing ovation Kerryon Johnson received after becoming Detroit’s first back to gain at least 100 yards in 70 games. Maybe the talk shows will lighten up on Patricia for a few days. The Cowboys continue to be terrible, the most chronic disappointment in the NFL over the last decade. They underachieve. They invest too much time and money in players who do not perform. What’s with the offense, averaging only 11 points? What’s the deal with Dak Prescott? The Cowboys four best offensive players are in broadcasting – Troy Aikman, Tony Romo, Jason Whitten and Michael Irvin. Before the season began, the 49ers were one of the teams we all expected to improve exponentially because of how talented quarterback Jimmy Garoppolo is. Now after ACL injuries to both Garoppolo and halfback Jerik McKinnon,s you wonder how they are going to get through the remainder of the season. The easiest call of them all. They are 0-3 and quite deservingly so. They had a 14-point lead Sunday against the Bears and you figured maybe this would be another Bills-Vikings game. It was not. Four turnovers later, the Cardinals had been clipped. 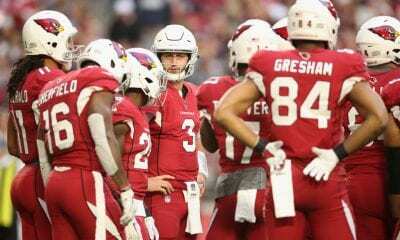 So now its up to rookie quarterback Josh Rosen. We wish him well.